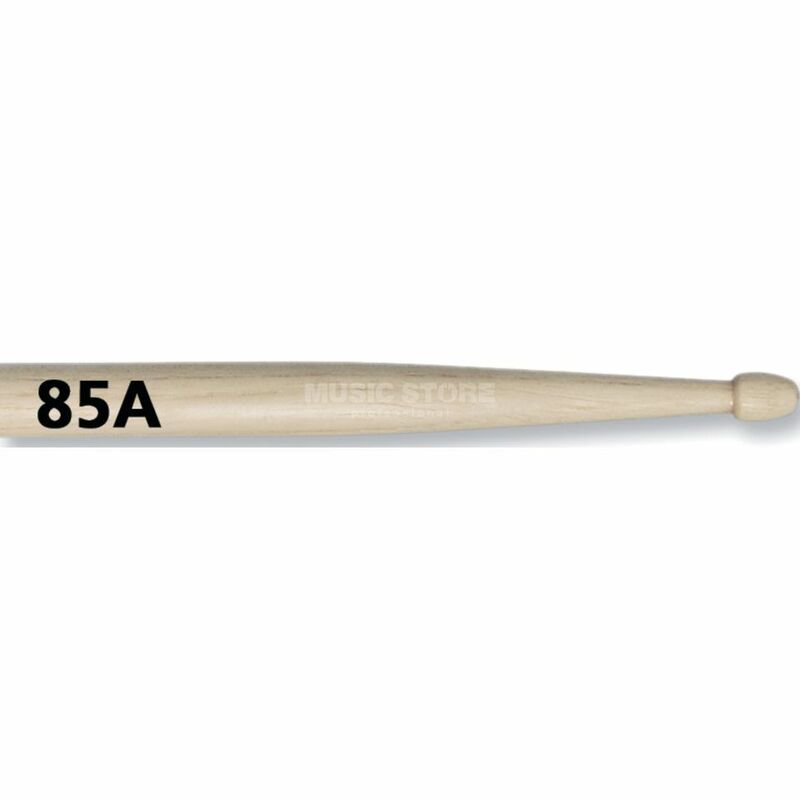 The The Vic Firth 85A (8D/5A Combo) American Classic Drum Sticks combines the sizes of 8D and 5A drums sticks. Made from Hickory, this dense wood has some flex with a clear cut sound. It's also capable of taking a huge amount of shock, making it great for drums. These sticks feature a tear drop tip that makes for rich cymbal sounds. These tips have been deeply cut back to intensify the response from cymbals. The classic white finish makes this stick very distinctive and definitely tears it apart from the rest. Each pair of American Classic drumsticks have been weight and tone matched to give you the most even sticks possible.